Spread KNORR Mexican Chunky Salsa Mild GF over half the tortillas. Top with pulled pork and cheese, then place remaining tortillas over the filling. 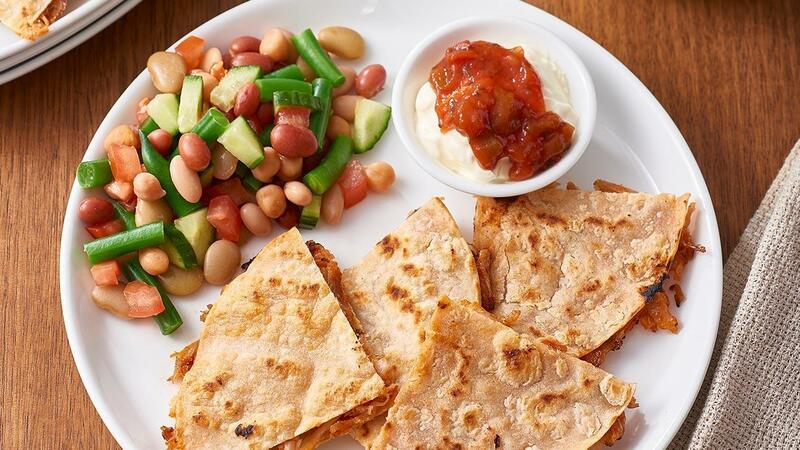 Serve quesadillas with simple fresh salsa style salad, sour cream and extra KNORR Mexican Chunky Salsa Mild GF.